Chronos isn't for everyone, but for those that love adventure RPGs, this is one of the closest you'll find to classics like Legend of Zelda on the Oculus Rift right now. Adventure RPGs require a ton of investment, much like your standard RPG, but in my experience, they require you to really put on your thinking cap to solve some of the intricate puzzles they cover. That’s exactly my sentiments about Chronos for the Oculus Rift, which reminds of many classics I’ve played in the past – such as Legend of Zelda: A Link to the Past, on the SNES or Alundra, for the original Playstation. 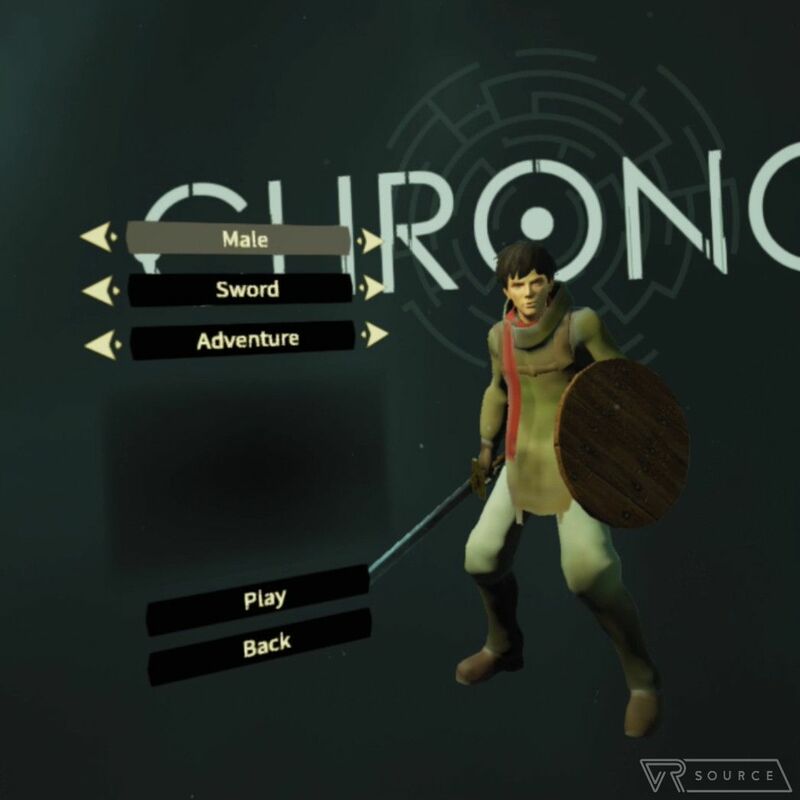 Chronos was developed specifically in mind for the Oculus Rift, adding the VR element to your traditional adventure RPG gameplay. 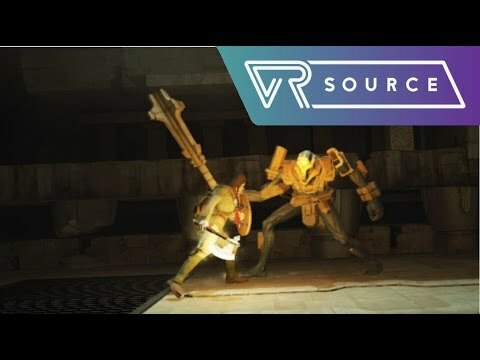 Most people would scratch their head and wonder how VR can mix things up with this genre, but Chronos manages just that in how it throws VR into the gameplay and mechanics, which I’ll talk more about in a later section. The story, though, places us in the role of our hero (male or female), who is given the arduous task of saving the world from this great evil. Something apocalyptic happened that resulted in the destruction of the modern world, which shows in the early portions of the game with barren and crumbling skyscrapers seen in the far horizon. This wouldn’t be an adventure RPG if it didn’t feature strange creatures, puzzles, giant cyclops, magic, a dragon, and our hero wielding a sword and shield. At the same time, too, our hero will be transported to another world that seemingly makes it feel like you’re dungeon hunting for most of the game. Being an adventure RPG, the gameplay consists of attacking, parrying, and shielding against enemies – where timing is crucial in defeating many of them. Generally speaking, enemies cycle through about 2 to 4 different kinds of attacks. Most of the time, you’ll be able to quickly dispose of enemies without incurring too much damage early on in the game, but as you progress, there are times when they still catch you off guard and land hits. In true RPG standard, you gain experience as you defeat them, allowing you to fine-tune and increase your skills. Along the way, you’ll find and upgrade your weapons, special items that’ll help you enhance your skills, and the ability to combine items to produce a new tool, which you might need to open a door or access a new area. Puzzles are especially ripe in a game like this, something that shouldn’t be too out of place to those who take delight in playing adventure RPGs. However, for the uninitiated, they might find some of the puzzles difficult – to the point of frustration. That’s the case with most games in the genre, so expect going back-and-forth to previously explored places to solve the more intricate ones. 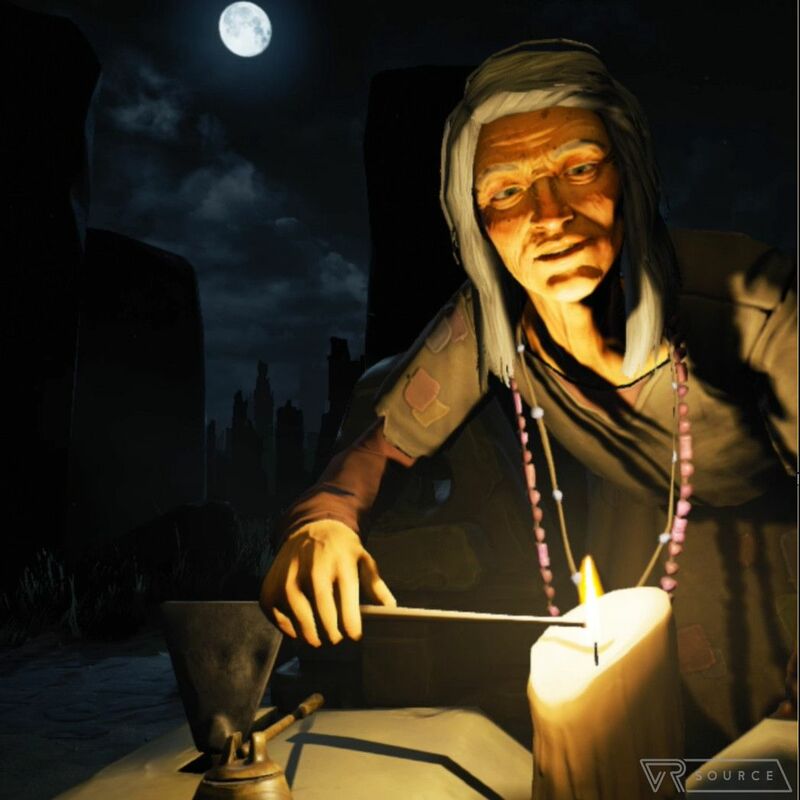 A differentiating aspect of Chronos’ gameplay is in what happens when the hero dies; you age by a full year. This is arguably one of the game’s most defining aspects, as aging causes our hero to not only gain new abilities early on, but consequently zap our hero’s strength, agility, and stamina much later on. The difficulty only increases once you pass that “prime” age of sorts, seeing that they become slower with wielding weapons and parrying attacks. 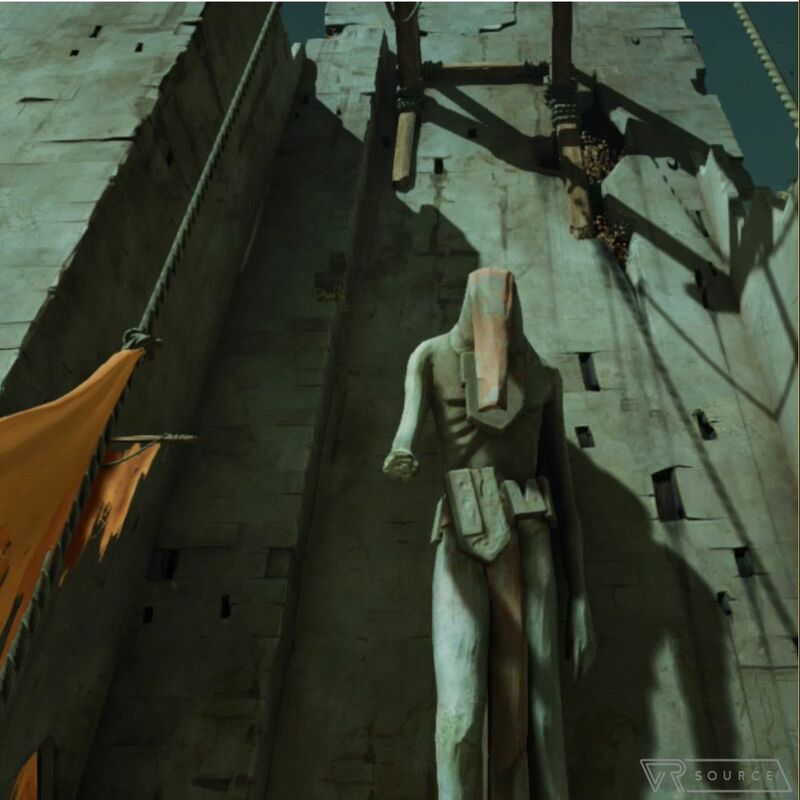 Several games for the Oculus Rift try to approach the experience with a first person view, but in Chronos, the majority of the game is played from a fixed third person point-of-view. It actually reminds me of the early Resident Evil games, where you can direct your character in one frame, then only to shift to another frame. This can naturally mess with some of the directional controls, since moving left in once scene can cause the hero to move in a completely different direction in the next – so when it comes to disposing of enemies, you’ll want to try and stick to a particular frame. This unique vantage point is also essential in planning your next course-of-action, rather than just simply running into it, only resulting in your unfortunate death because you’re now faced with multiple enemies, as opposed to just one. That’s why it’s particularly important to use the initial time to survey the scene before going in. And for the most part, this fixed third person view makes perfect sense for a game like this – plus, it rarely causes much discomfort during long periods of gameplay. In fact, even playing Chronos straight for an hour never caused me to feel nauseous or queasy. You can say that the VR element isn’t necessarily using the Rift’s full potential, especially when we can very well see the game being played in standard form on a PC. Either way, the slight articulation used by the gameplay is a starting point for a new system like this – so I can only hope that future games will be more enhanced for VR. 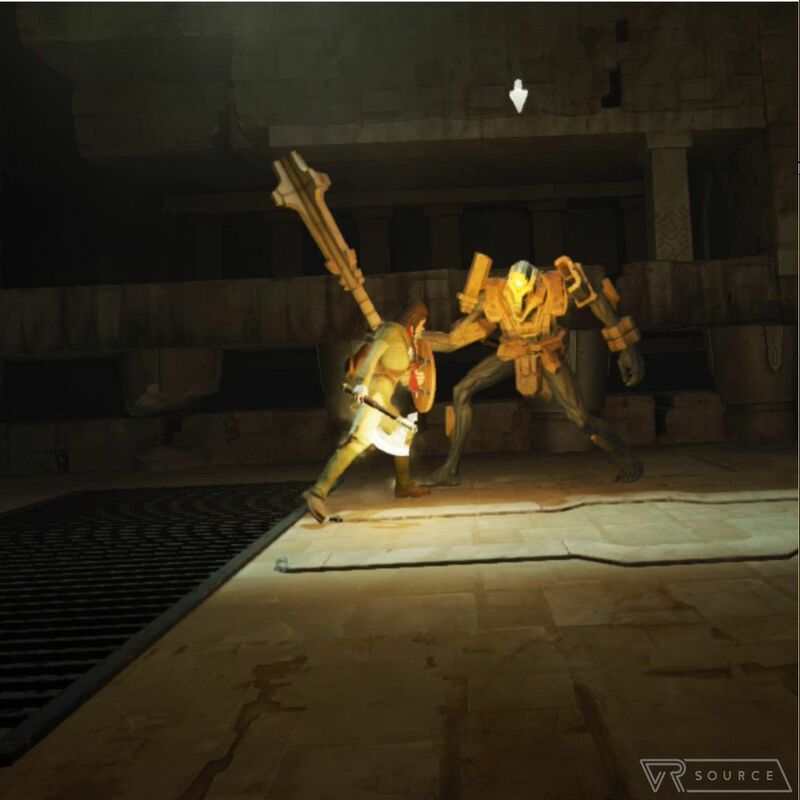 The designers of Chronos spent considerable time with the visuals of the game, blending an eerie post-apolocyptic scene with the real world, and huge dungeons in the other worlds that our hero travels to. While the game itself looks stunning graphically through the PC, it’s a bit softer toned through the Oculus Rift. It’s not a total deal-breaker, but something that I wouldn’t regard as a masterpiece given other VR games and experiences I’ve seen through the Rift so far. Chronos is ultimately one tough game I’ve got to admit, mainly because it’s a game that’ll test your skills – both in timing when it comes to defeating enemies, as well as puzzle solving. You’ll die a handful of times trying to defeat certain enemies, which undeniably becomes frustrating over time. It’s made worse when you age and timing becomes even more important in blocking and parrying attacks. The puzzles, too, can be a mind-bender as well because some of them require our hero to backtrack and travel to previously explored areas. This game really lives up to what you experience in other adventure RPGs, but if you’re accustomed to button-smashing action games like God of War, you’ll find Chronos to be a painful lesson in pre-planning. While this isn’t my cup of tea per se, others will be engrossed by the gameplay and story. The only thing that needs more work is in the VR experience, seeing that it barely taps into what VR is capable of doing. 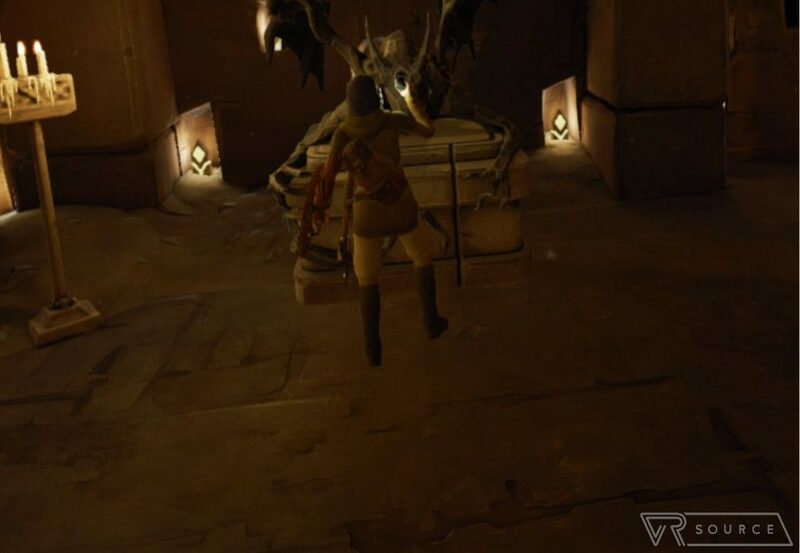 Maybe throw in some first-person scenes that require you move left/right to dodge heavy sword swings? Who knows, but Zelda fans will surely eat this one up. Chronos’ $49.99 price tag is a smidgen below the $60 range we see in some other popular titles for the Oculus Rift. That’s not bad given that there’s really no other titles similar in caliber to this in the Oculus Rift store at the moment. Like I’ve mentioned early on, you’re going to invest some serious time defeating enemies and subsequently the game, so the price isn’t too bad if you have an appetite for adventure RPGs.